This Victorian 6 3/8 " teapot tile stand is transfer printed in dark brown. The stand has Mr Pickwick in an alarming position. 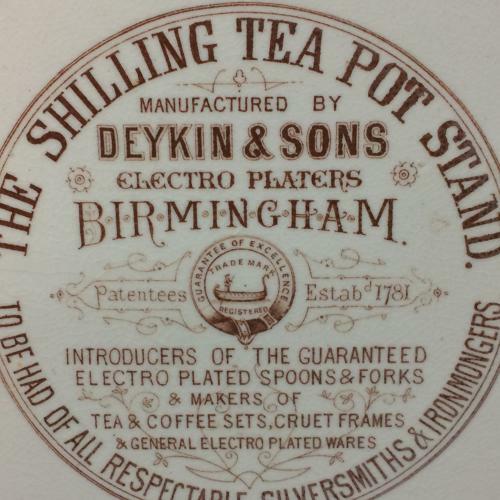 The reverse side has an advertisement for the stand itself along with silversmiths and ironmongers. The piece is in good condition with a hairline crack off the rim per photos. Rready for your teapot.